SHEPHERDTOWN, WV – AUGUST 22, 2016. Pelican Harbor Rum, Southern Champion’s multi-award-winning rum, makes its mark in Shepherdstown, West Virginia. The Bavarian Inn, a AAA Four Diamond award-winning luxury inn, partnered with Southern Champion in late April to feature Pelican Harbor as the resort’s featured rum for specialty frozen drinks and libations for its Infinity 101 Pool and Bar’s specialty drink menu. Bavarian_InnThe Infinity 101 Pool and Bar dangles exactly 101 feet above the Potomac River edge. The pool’s infinity edge creates the perfect ambiance for relaxation and comfort. Frozen drinks featuring the double gold-winning Pelican Harbor Rum include fresh Piña Coladas and Strawberry Daiquiris. The rum is also featured in the pool’s classic summer cocktail, the Mojito, made with fresh muddled mint, simple syrup, lime juice, and club soda. 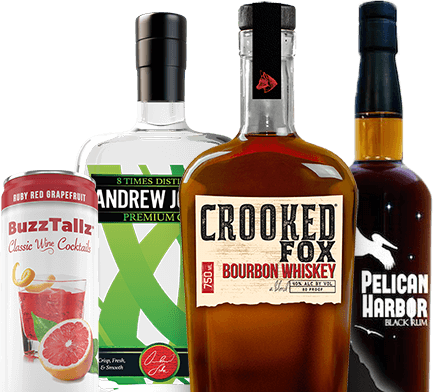 Southern Champion’s partnership with the Bavarian Inn marks the start of many on premise deals for its premium line of spirits, allowing the company to showcase their exceptional style and taste in bars nationwide.